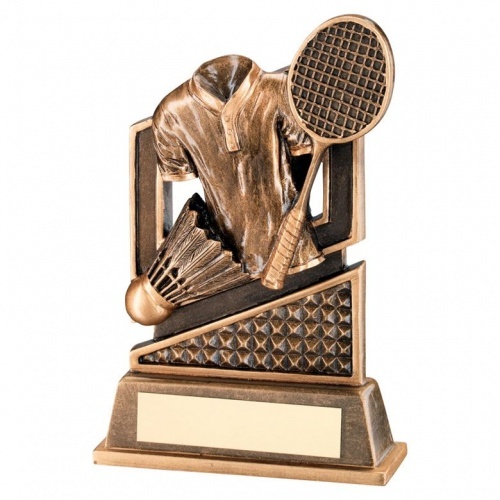 These affordable badminton awards trophies are crafted in resin and have a stylish antique bronze colour finish. They feature a scene with a (male) sports shirt, badminton racquet and shuttlecock mounted on a bevelled base with metal engraving plaque. 4.75in (121mm) tall, these badminton awards are offered with low, fixed cost text engraving and free logo engraving of the base plaque.